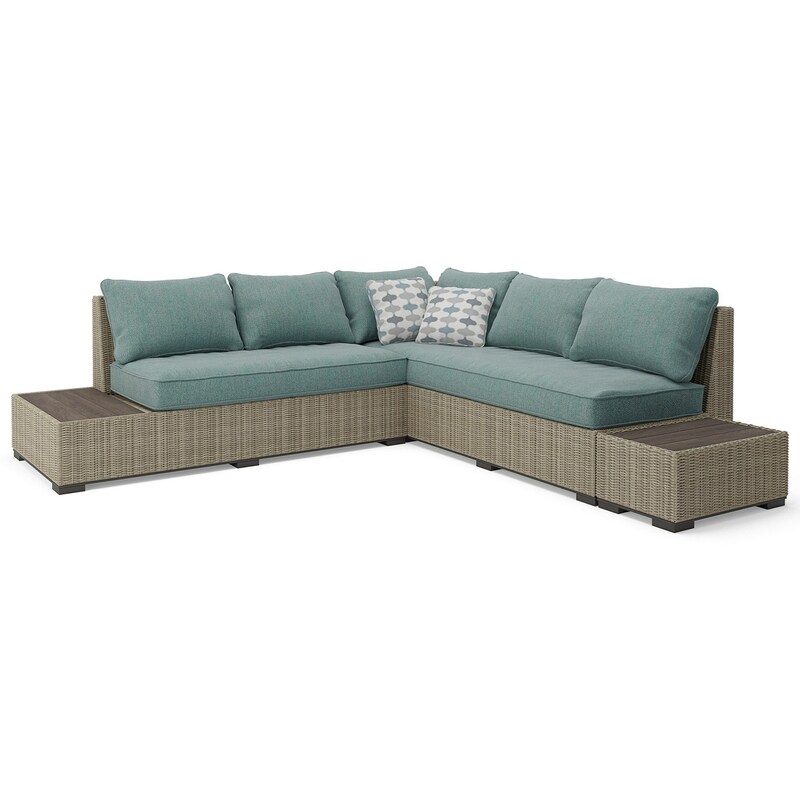 This sectional set includes everything you need to enjoy a beautiful day outside with family and friends. Complete with a sofa, loveseat, and two end tables, this set is both stylish and dependable for everyday outdoor use. 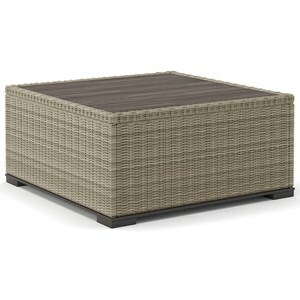 The resin wicker featured throughout these pieces give them a casual outdoor look, while the resin wood-like table tops give them a more sophisticated flair. The high performance Nuvella fabric used for the sectional cushions are stain resistant and retain their color well - the perfect conditions for outdoor furniture. 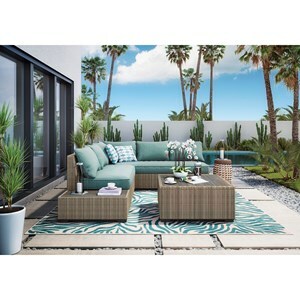 The Silent Brook Outdoor Sectional Set by Signature Design by Ashley at Value City Furniture in the New Jersey, NJ, Staten Island, Hoboken area. Product availability may vary. Contact us for the most current availability on this product. Fabric Content High performance Nuvella fabric is eco-friendly, combats stains, and is resistant to dirt, mold, and mildew. 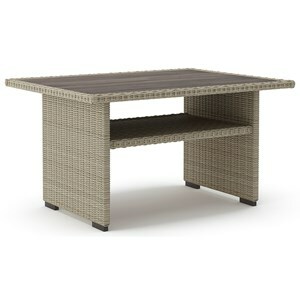 Nuvella is perfect for everyday outdoor use.